← RECOMMENDED: The Négociant 2009 Riesling, California. 13.5% ABV, $14.99. 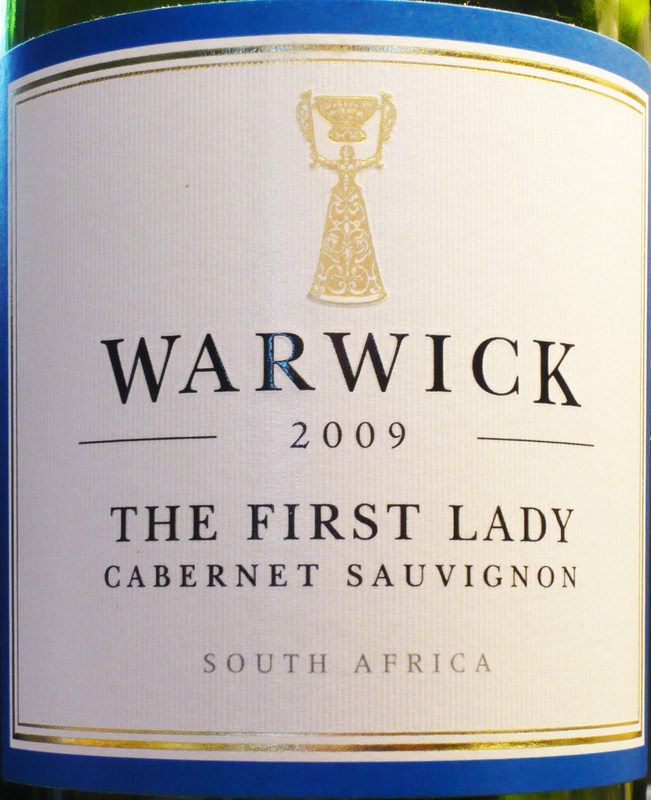 HIGHLY RECOMMENDED: Warwick, 2009 “The First Lady” Cabernet Sauvignon (97% Cab, 3% Petit Verdot), South Africa. 14.0% ABV. $12.60-16.99. There is quite a story behind the name “The First Lady,” but let’s get down to the brass tacks of the wine first. The wine was aged in second- and third-fill 100% French oak barrels, and as a result, its structure seemed more tightly woven and subtle than most oak-aged wines. With an oval and smooth mouthfeel, the wine was balanced by good acidity for a little bit of a punch, and it offered a fairly long finish. This is a classic, elegant Cabernet. Cork closure. 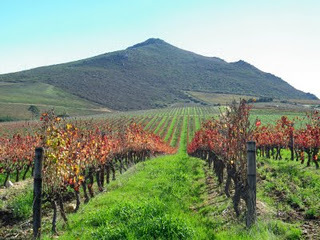 LABEL NOTES: The Warwick Winery is situated on the celebrated slopes of the Simonsberg mountain in Stellenbosch. This historic property was established in 1770 and the winemaking tradition revived in 1964 by the Ratcliffe family. This elegant blend is crafted in a sophisticated and fruit driven style. The First Lady is a tribute to Norma Ratcliffe, a pioneer in our wine industry. WEB NOTES: Canadian-born Norma is special not just because she is one of very few female winemakers in the Cape. She is also a member of the Cape Independent Winemakers’ Guild, and has served as its chairperson (she was the first female member of the Guild). When she first taught herself to make wine she would give it away to appreciative friends, and she later went to Bordeaux to gain some experience working in a cellar. When the winemaker there broke his leg, she was the one to carry out his instructions in making the wine. A sparkling and energetic soul, Norma brought her new wine-making skills to Warwick where she was able to develop them further. Norma is very involved in everything that happens on the farm. TECH NOTES: Warwick Estate has implemented an environment friendly/biological approach to produce top quality grapes each year. A few years ago the farm started to refrain from using pre-emergent herbicide in our vineyards. Warwick only sprays once a year under each vine row. The farm also refrains from using harmful insecticides and rather concentrates on spot treatments in the vineyards. We can detect the positive effect of our efforts, and our booming earthworm populations are the result of that. Predominant soil type: Hutton & Clovelly. 25% drip irrigation. Average summer temps 86/60 F. Average rainfall 20”. “The men who reigned over South Africa’s wineries were amused by the former ski instructor from Alberta who was trying to break into their ranks. She was a foreigner, and she was trying to convert a fruit farm into a winery—and she was a woman in a male-dominated industry. 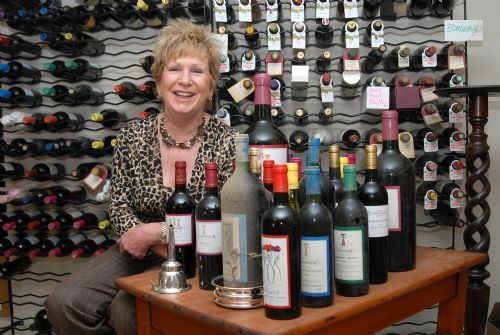 ‘I was a bit of a novelty—like their mascot,’ says Norma Ratcliffe, the first female winemaker to become commercially successful in South Africa. ‘They couldn’t believe that I was making this fabulous wine.’ A quarter-century after selling her first bottle of wine, the self-described tomboy from Edmonton, Alberta is today seen as one of the pioneers of contemporary South African winemaking, an industry that has boomed globally. “Ratcliffe, a science graduate from the University of Alberta and a former competitive skier, was running a restaurant on an island in Greece when she met Stan Ratcliffe, a South African who owned a 200-year-old farm in a stunningly beautiful valley near Stellenbosch, capital of the South African wine industry. They were married in Edmonton in 1971—in the middle of a blizzard, to the shock of the South African family members—and then settled at his farm, where they grew pumpkins and cabbages and drove them to local markets at dawn. They soon began to take an interest in wine, planting grape vines and making experimental wines throughout the 1970s and early 1980s. Lacking any background in the wine business, Ratcliffe started at the bottom. She took classes in winemaking, pored through books, bought second-hand equipment, learned to fix pumps and patch leaks in barrels and worked for months at a wine cellar in the Bordeaux region of France. This entry was posted in Cabernet Sauvignon, Petit Verdot, South Africa. Bookmark the permalink.